Listonic - What are food hacks? Listonic suggests a wide range of savvy food hacks, in other words, simple tricks that show you how to become a smarter shopper, keep your products fresh longer or add extra flavor to your dish among others. They are connected to the products on your lists, so you only see the tips applicable to that shopping or cooking. 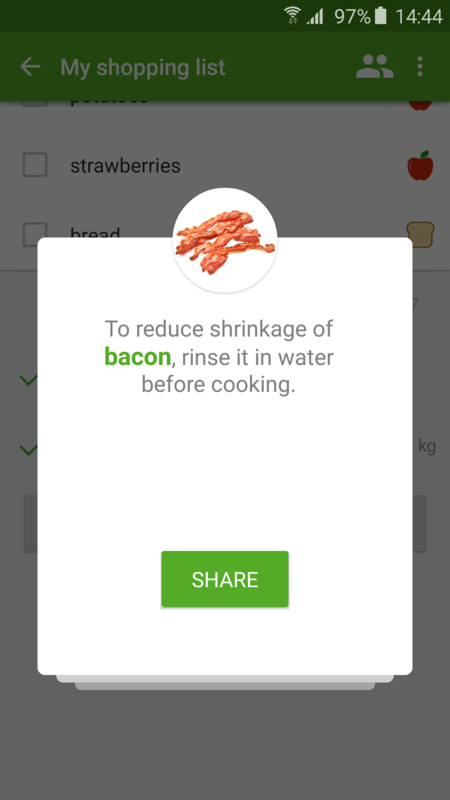 Note: If you’re not interested in our food hacks, you can delete them in the app settings. Possibile avere la Guida in lingua italiana? Is it possible to nave the Guide in Italian?